Kathleen has been actively involved in service outside of her major as well. She created a club called Lend a Hand that benefits the Center for the Homeless in South Bend through drives and volunteer opportunities. She also served as student Mass coordinator for Campus Ministry and commented on the impact of that experience. “Serving at Mass helped me to grow in my faith and learn the reasons why we do certain rituals.” Kathleen is applying to master’s program in speech pathology. Her dream is to start a nonprofit preschool for children in poverty. 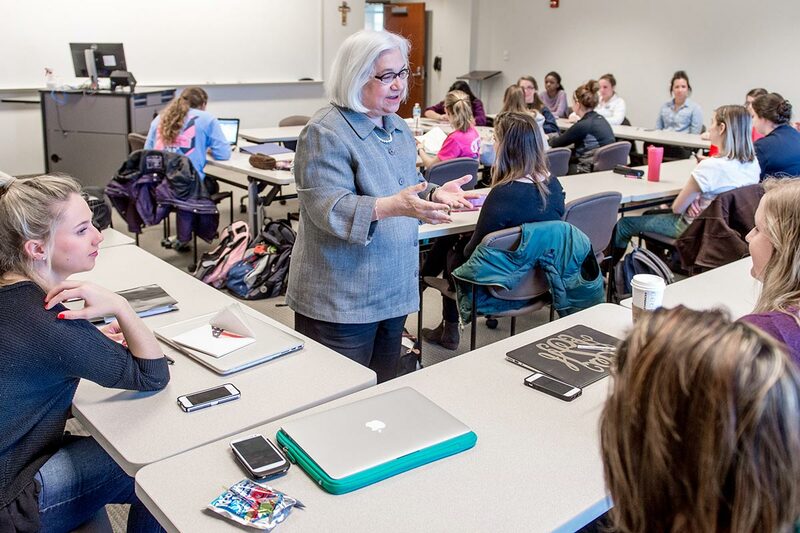 The spring semester of her senior year, she’ll work one-on-one with Susan Latham, associate professor and chair of the Department of Communicative Sciences and Disorders, in an independent study to make her dream a reality.